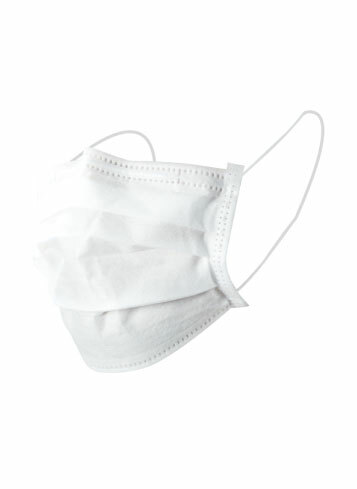 Non-woven masks are the number one type of personal mask recommended by The Japanese Ministry of Health for the prevention of spreading H1N1 through coughing and sneezing. Make sure to protect yourself and those around you with Saraya Surgical Masks. • Protects healthcare workers from droplet and airborne transmitted infections. • 3 layers of unwoven material provide excellent protection and breathability. • Complies with ASTM F2100-04 requirements, the American standard for medical mask impenetrability.